How long is it going to take for me to learn that life is just not fair? I grew up believing that if I do something good, good things will come in return. While, if I do something bad, misfortune will befall me. I follow this rule pretty religiously. I try avoid speaking ill of another person, avoid lying, avoid cheating, you know.. Anything mean or unfair. I am 1 person buying 2 tickets and I will take 1 spot in the queue slot. Ticket starts selling at 10 and I hopped into queue right as it opened. Ten minutes after 10 I finally get to pick my tickets and BAM, the P2 tickets are already sold out. Are you kidding me? I get in queue right as it opens and by the time some randomize number generator decides it’s finally my turn to buy tickets it’s already out? 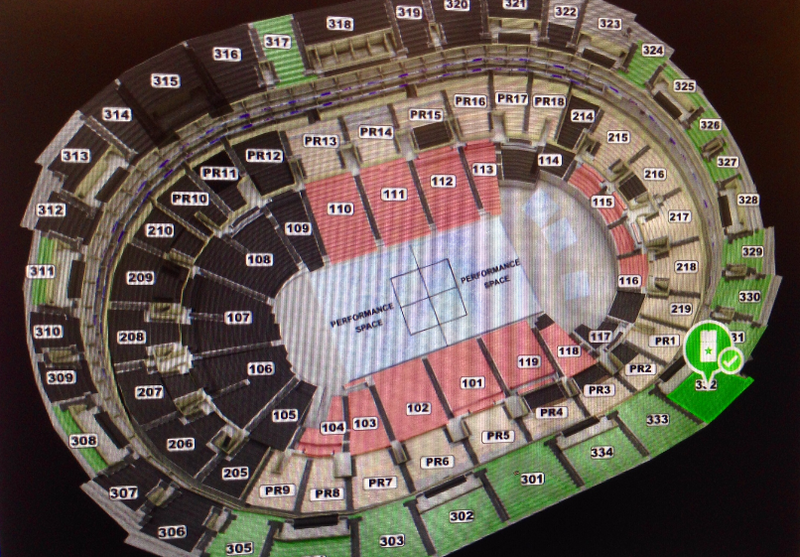 No way man… Okay I’m fine with that just let me get to cheap seats, well guess what, I can’t pick that either. I get 3 changes to reroll and hope to dear god that I will get a good seat. Well Lady Luck to wasn’t on my side and gave me crappy seats, again. By again I mean I got extremely crappy seats 2 years ago at the Season 3 finals, in the same exact venue. This actually upset me for the entire day and I felt cheated. Then something came to mind, from now on I am done playing fair. Then today, my sister stop by my work building to have lunch with me (since I was too bummed yesterday and cancelled on her). We settled for sushi in the caffeteria so we got in line. While waiting in line, I couldn’t find my wallet so I let my sister order first. After she ordered, some Chinese lady went right after her. I was confused for a moment because wasn’t I originally in front of my sister? Where did this Chinese lady come from…? My sister started complaining about how alergic she is to PRC folks because of this kind of attitude they generally have. She was overly disgusted by the fact that this lady cut the line and had absolutely no shame even after she was complaining to me so loudly about it. I took a step back and thought to myself, man, thats what it’s like to be a cheater. It’s not very nice and people think poorly of you. Did she get her sushi before I did, yeah, sure. But do I really want to become a person like that, no. but when life gives you lemons, just make lemonade!